I was first annoyed by the concept of #hashtags. All of a sudden placing a #hashtag #beforealonglistofridiculousyetseeminglyclevercomments is an accepted way to communicate. That approach is still annoying; however, hashtags used effectively can be both fun and effective. Commonly used hashtags are an awesome way to further explore you favorite topics within instagram. 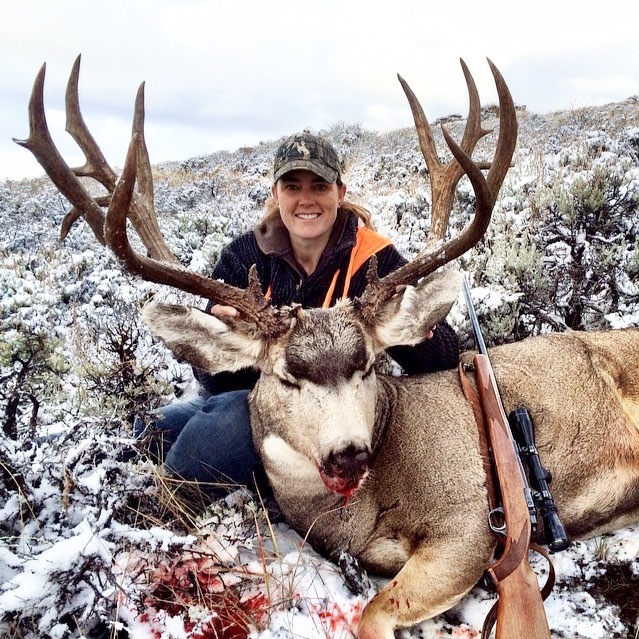 Are you into hunting #muledeer or #elk? 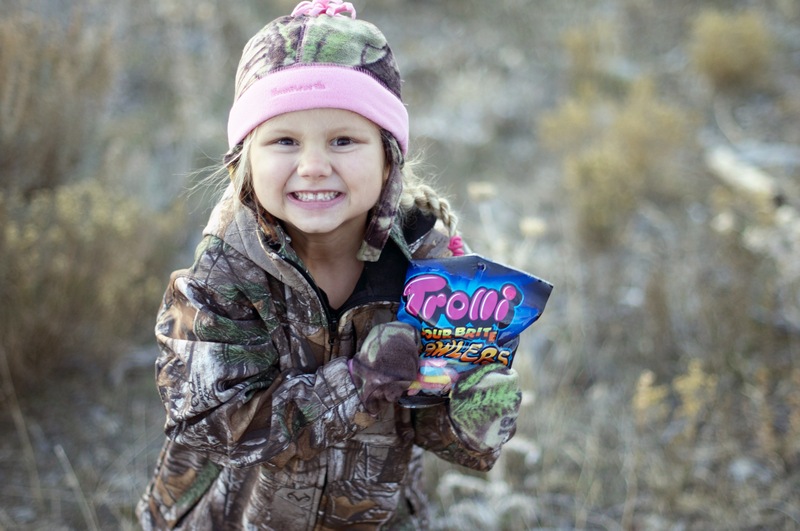 Would you describe yourself as a #huntinfool? I often find myself glued to various instagram #hashtags while utilizing the instagram search function. This series of blog posts will highlight the most stunning pictures within a given #hashtag. I will take into consideration photos posted within a 52wk time frame. In this my first edition I will focus on one of the best! One of the biggest contributors and founder of the #massntrash tag is the one the only Jeremy Joyner @massntrash. In a world where @signs make everyone a “one and only,” Jeremy sets @massntrash apart with some awesome content. I am a religious follower of @massntrash. Check him out and follow today! That being said, lets enjoy the Hunting Hashtag 10 Most Stunning Photos #massntrash. 1. 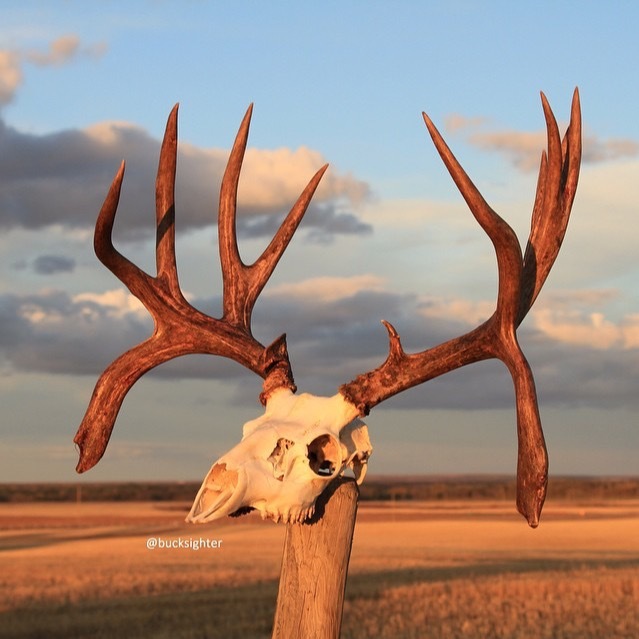 @fne4life (Chris Brackett): If you want to see some absolutely stunning hunting photos, follow @fne4life! This guy is a hunting machine. This photo is the first of many @fne4life photos that are sure to capture your attention. 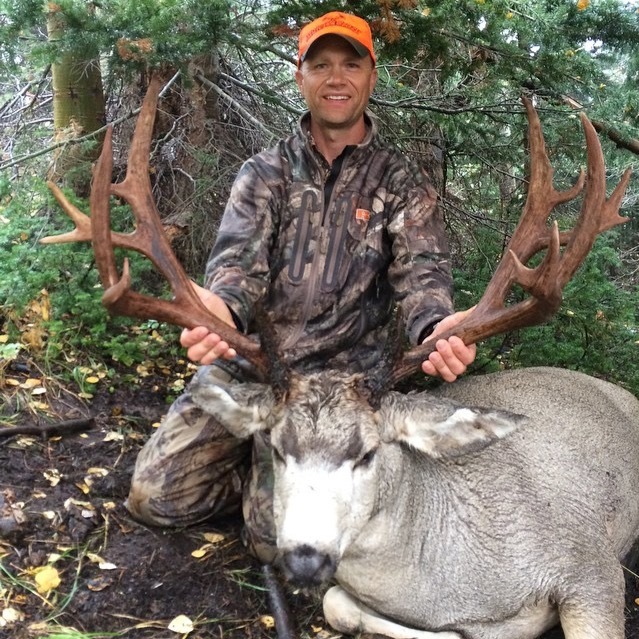 Nice work Chris on an giant muley and an epic photo finish. 2. 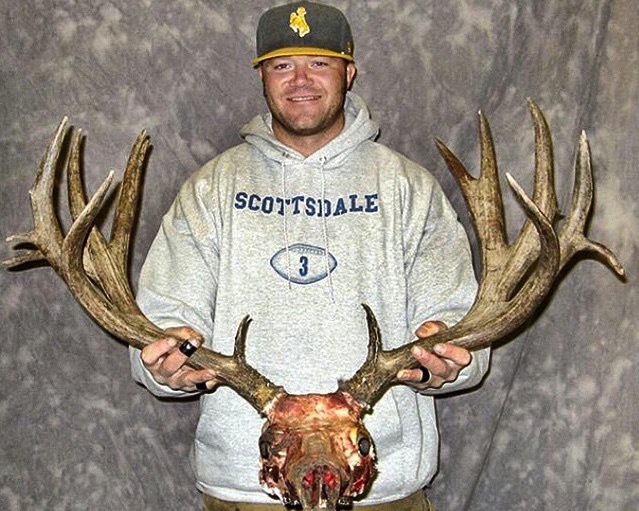 @tim_downs_ (Tim Downs): To say Tim loves big desert rams would be an understatement. His passion for big curls is evident in his work. Follow Tim for some phenomenal pictures of these magnificent animals @tim_downs_. 3. 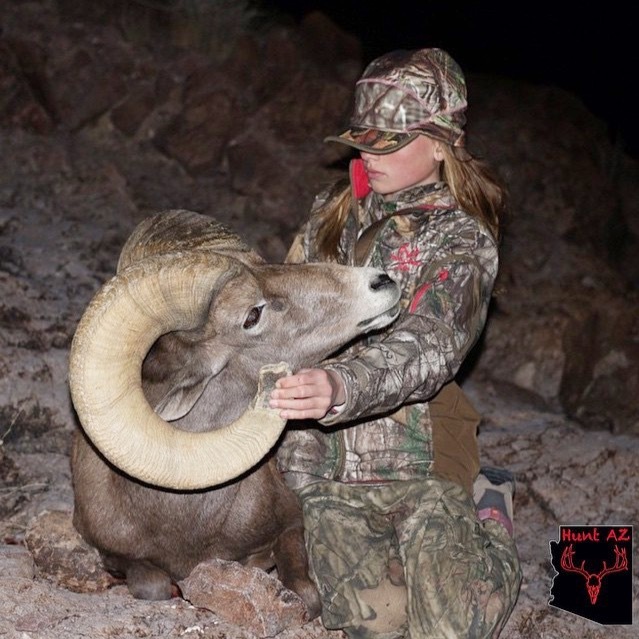 @jayscottoutdoors @huntaz (Jay Scott): Averi was able to harvest this once in a lifetime ram with Jay Scott Outdoors. 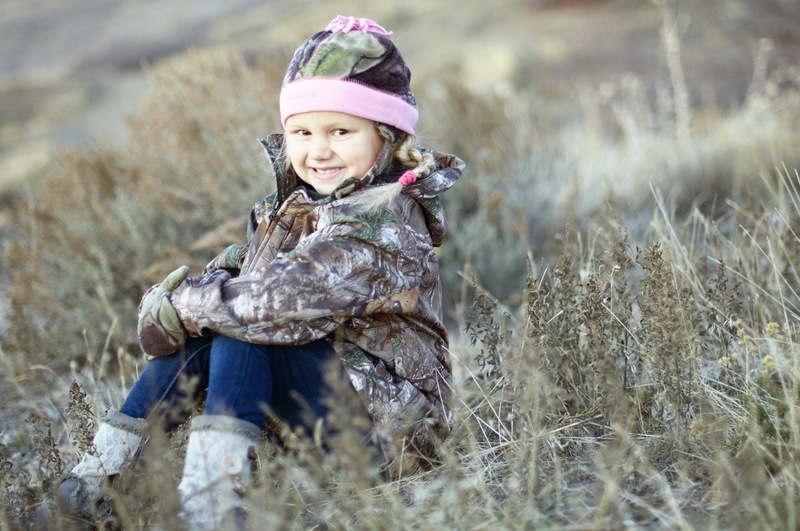 I am a huge youth hunter advocate. 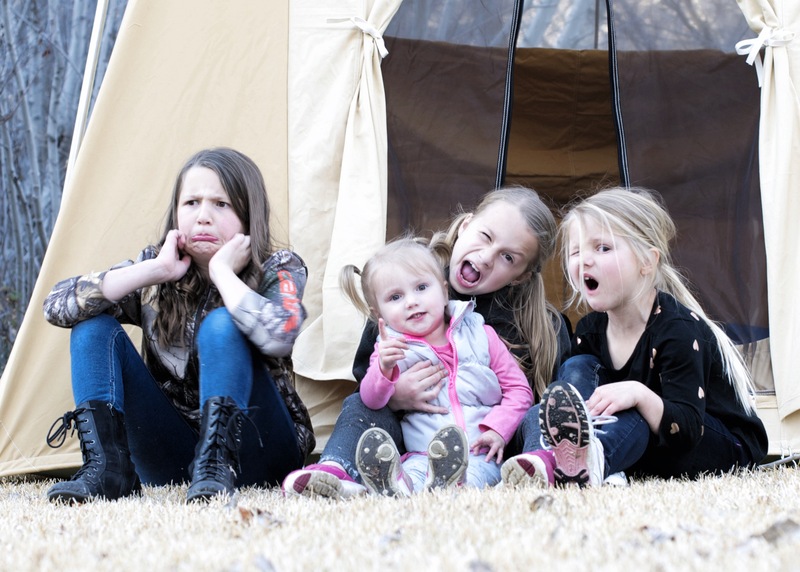 With 4 daughters of my own, this picture obviously caught my attention. 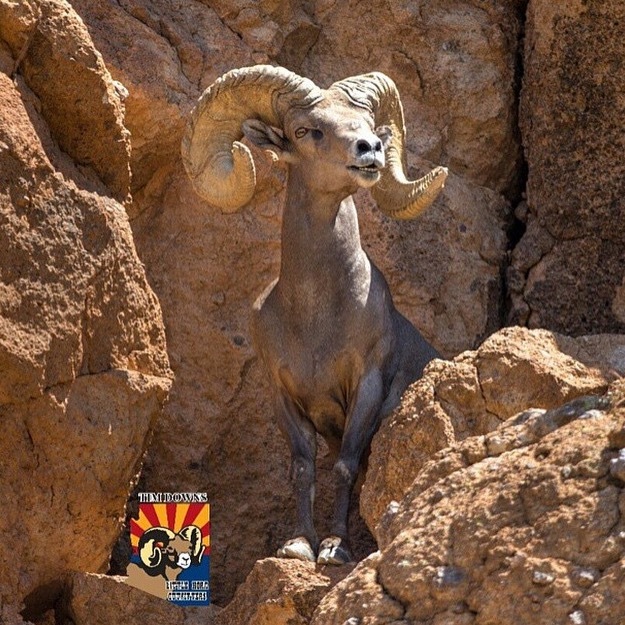 congratulations Averi on an absolute trophy ram and stunning photo! Be sure to follow @jayscottoutdoors and @huntaz for some unbelievable hunting pictures and video. Check out www.jayscottoutdoors.blogspot.com for some great content. 4. @proline_imagery (Ricky Bangerter): This picture is stunning! As a result, I checked out @proline_imagery and this picture is just the beginning. This guy is an unbelievable photographer. Go follow Ricky for your outdoor and extreme sports photography fix! He will not disappoint. Nice work Ricky on a stunning photo. 5. 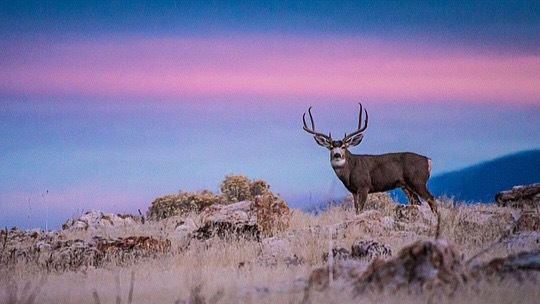 @evanhault (Pictured: Ryan Warner, JJ Lund): Sonora, Mexico is the land of giant mule deer and incredible backdrops. To double up on a couple of bucks then finish off with that view would be a dream. This photo captures the moment perfectly. Take a minute and follow @evanhault. Evan and his hunting buddies are as consistent as it gets. 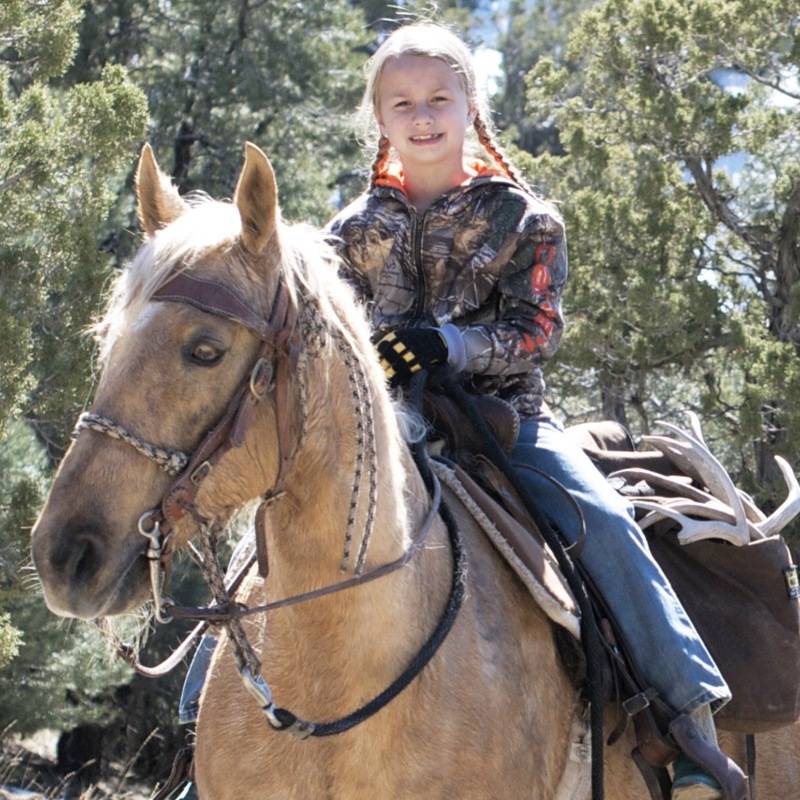 Check out “The Trophy Hunter’s 4 Skills” for a great article about Evan and his hunting success. 6. 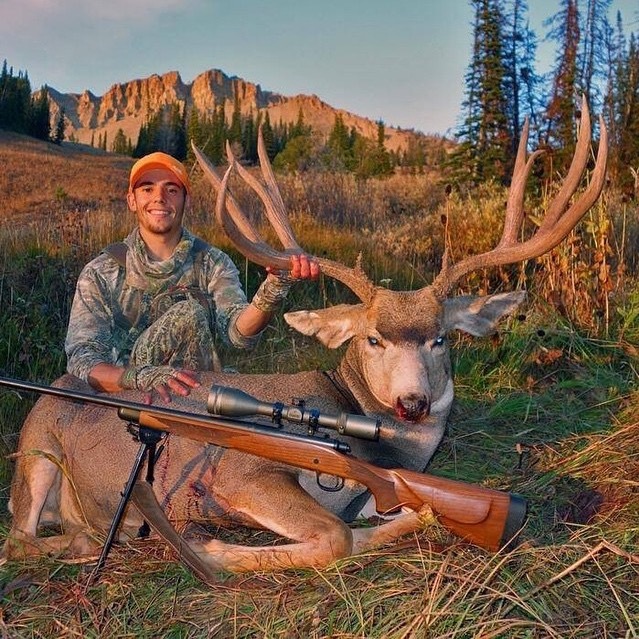 @bucksighter: To kill a double drop tine buck is a thing of fantasy for most big game hunters. I love the simplicity of this image. I love the lighting. This buck is both massive and trashy. @bucksighter has many great shots for your viewing pleasure. Check them out! Great job on an awesome picture. 7. 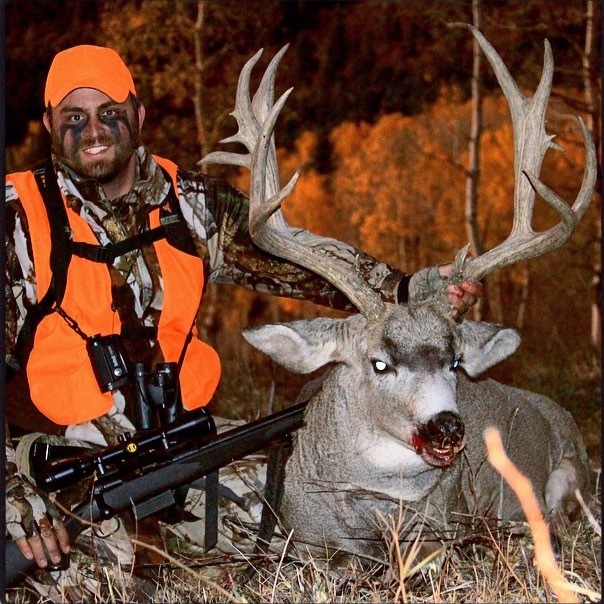 @seanmorganoutdoors (Sean Morgan): This 35″ buck is a favorite of mine from the 2014 season. Sean captures the moment well with both still shots and riveting video. Check out the kill shot on this buck at www.seanmorganoutdoors.com. Great time and effort goes into Sean’s harvest photos and film. This photo is no exception. Nice work Sean! If you are not following @seanmorganoutdoors today, get over there and click follow. 8. @skylerrichards1325 (Skyler Richards): This guy continues to impress. 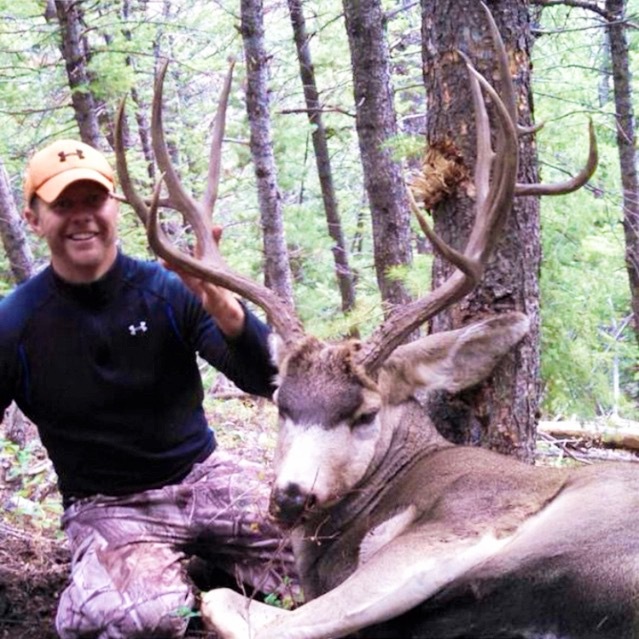 CCO and Skyler kill some of the biggest mule deer in the West. 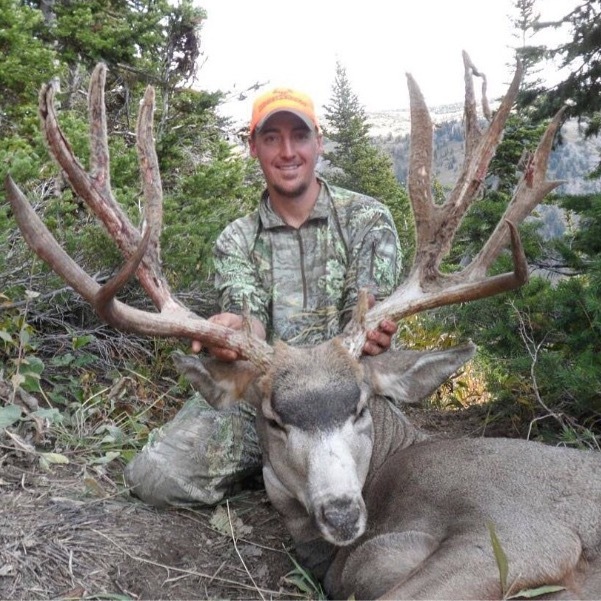 This buck was actually featured in Utah’s Top 10 Monster Mule Deer of 2014. I am a huge fan when photography pays due respect to a harvested giant. Skyler does this on each and every hunt. Follow @skylerrichards1325 for some spectacular hunting photos. Skyler’s track record indicates there is more to come! 9. @chase_christopher_ (Chase Christopher): What an absolute giant. 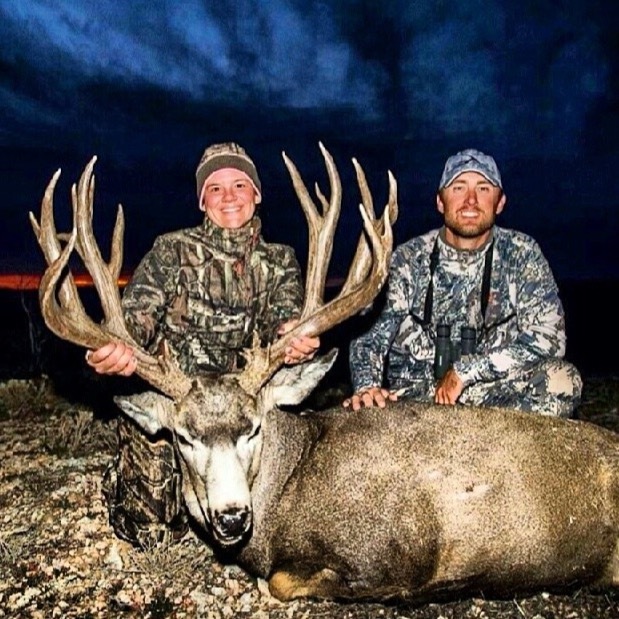 This husband and wife team, this buck, and a spectacular backdrop is a solid recipe for a photo finish. I love everything about his picture. Follow @chase_christopher_ for some great content and visit www.themountainiscalling.com for some must see films. These guys are putting together some awesome stuff! 10. 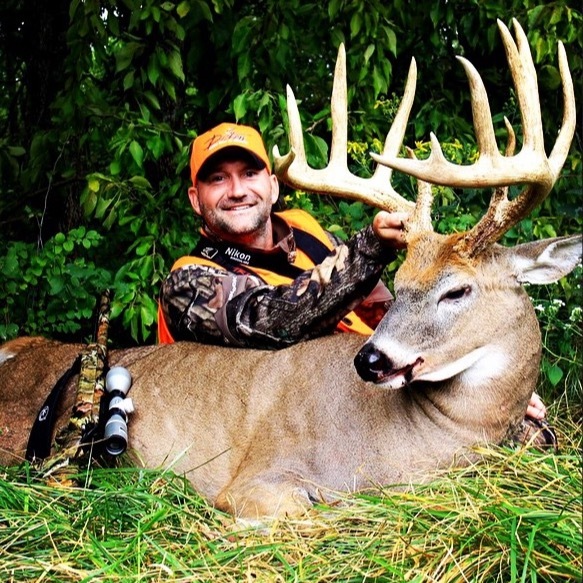 @drivenhunter (Mike Jahnke): I love big whitetail. There is still a big ole’ bruiser that haunts my dreams from a tree stand in Monroe, Michigan. You win some, you lose some. Mike @drivenhunter and www.drivenhunter.com won one here. This picture is simply fantastic. 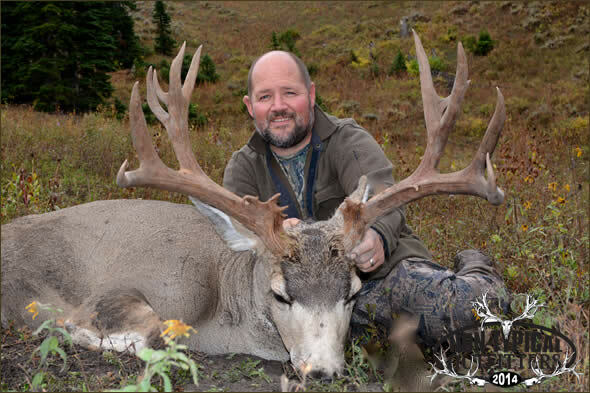 Be sure to follow @drivenhunter and watch Driven TV on the Outdoor Channel Tuesdays at 9:30 ET. 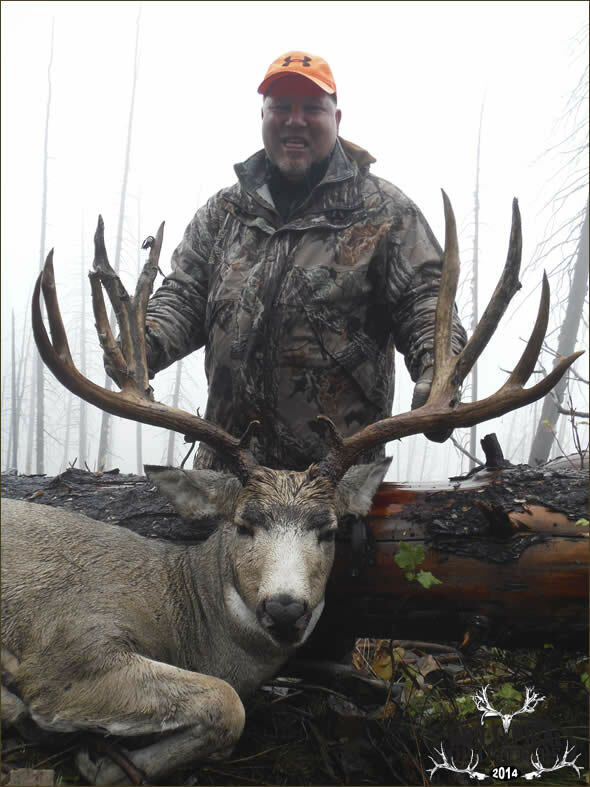 Mike killed this buck with Wicked Outfitters. Check them out at www.wickedoutfitters.com. Now the only question remaining is are you now following these 10+ instagram users? If not, you are missing the boat on amazing content. While you are at it be sure to follow me @jdheinerblog. If you like this article, take a look at some of the other articles at http://www.jdheinerblog.com and click the little follow button in the bottom right hand corner of your screen. 1. Ability to Preserve: Does it increase the shelf life of the meat? 2. Ability to Store: Can it be stored long-term at room temperature? 3. Ability to Use: Does it have multiple uses? Do you take into consideration the ability to preserve, store, and use your meat? Or, are you simply wrapping and freezing? Bottled meat preserves your harvest for 5-7 years. It will store at room temperature and the opportunities to use it are endless. We use our bottled meats in stew, on sandwiches, and in burritos on a regular basis. If you are constantly waging war on freezer burn and freezer space, here are the top two recipes utilizing the #1 method to cooking venison. 1. Kody Smith at www.GoHunt.com: Kody’s recipe caught my attention due to the addition of bottled peppers and onions. He doesn’t over complicate the process yet adds a few extra elements that are sure to please! I personally keep it simple; however, I love the idea of throwing in these ingredients. 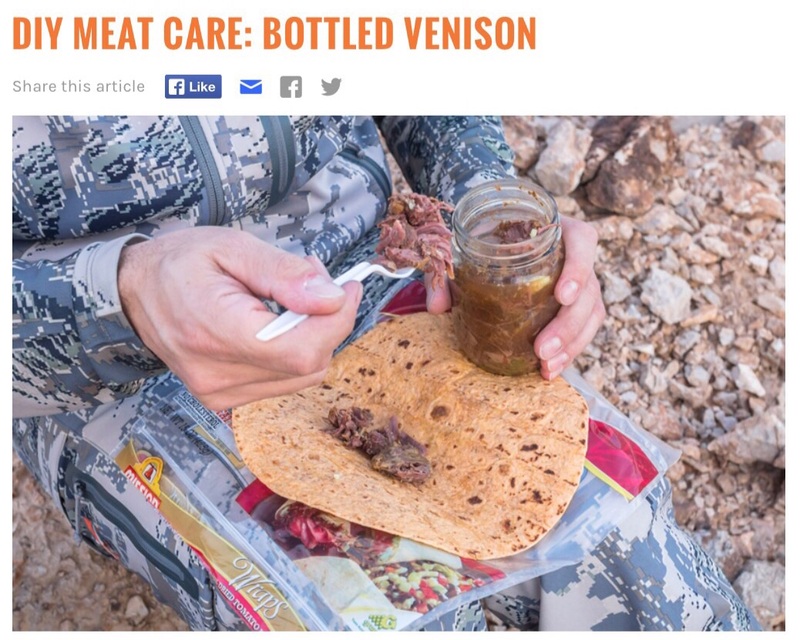 Kody nails it with this recipe and his step by step guide to bottling venison. This recipe won’t disappoint. 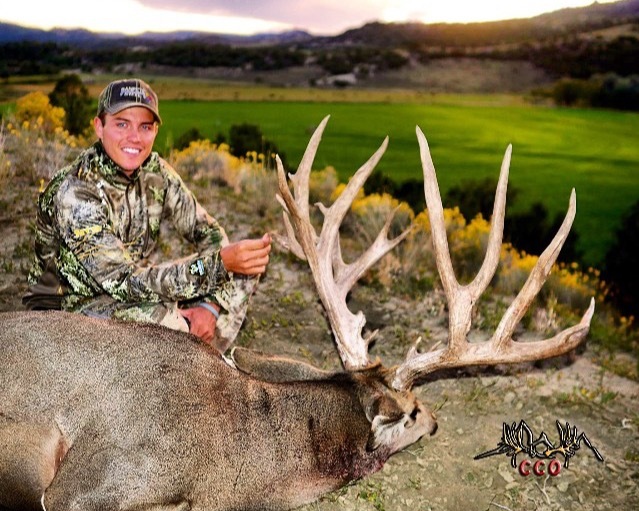 As an avid outdoorsman, Kody lends his experience to the vast resources found at www.gohunt.com. Check these guys out! While visiting their site, be sure to read Kody’s other articles. He has got an awesome article on hunting with goats: Opening Day Success, Expectations Come to Fruition. 2. Angela at www.foodstorageandsurvival.com: With over 752 articles on topics ranging from food storage, food preparation, survival, and prepping, Angela certainly knows her stuff! I loved this recipe for its simplicity. This is very similar to how we do it in our own home. This is a great way to get started and Angela’s blog is a must follow. Go visit www.foodstorageandsurvivals.com for some incredible resources. Check out Angela on youtube and be sure to also follow her on Instagram @foodstorageandsurvival. I hope these recipes proved helpful as you consider “The 3 Abilities” to preserving, storing, and utilizing your game meats now and in the future. There is a great sense of community that comes from social media. We share in our pursuit and compliment each other’s success. Within our hunting network, we stick together. 1. You are the self-appointed score guru. You often amaze even yourself with your uncanny ability to derive score, location, and complete back story in one picture. A friendly game of “guessing score” is fun but you my friend will publicly challenge any one person’s personal harvest stats. You are the score guru. 2. You define ethics. Your shots are always perfect. Ethical shot distance and placement is something only a rare professional like yourself could possibly define. You never miss nor have you ever taken a questionable shot. You define ethics. 3. You are the real hunter. By definition it is only hunting if it is done your way. Only you know the meaning of truly working hard for that shot. 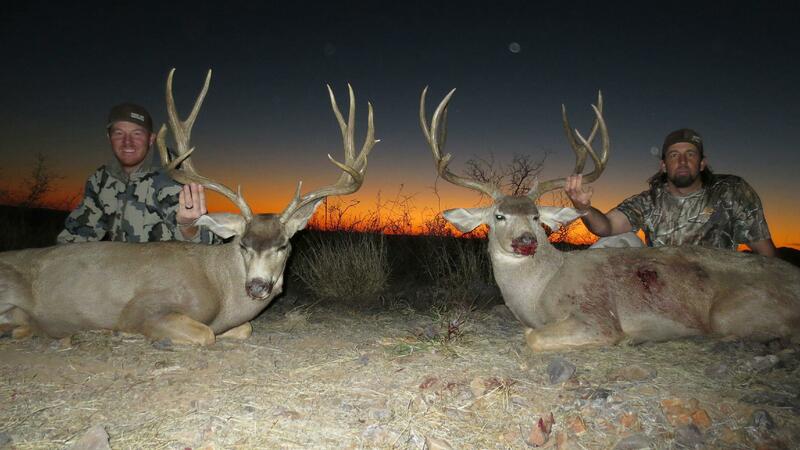 Trophies killed by anyone but yourself probably didn’t require true hunting. Those people take short cuts and get lucky. You will let them know because you are the real hunter. 4. You hate money. You are certain others’ success simply comes by way of money. There is no other explanation for their success over your own. You and your ability to hunt is hindered by the rich. You hate money. 5. You define a trophy. 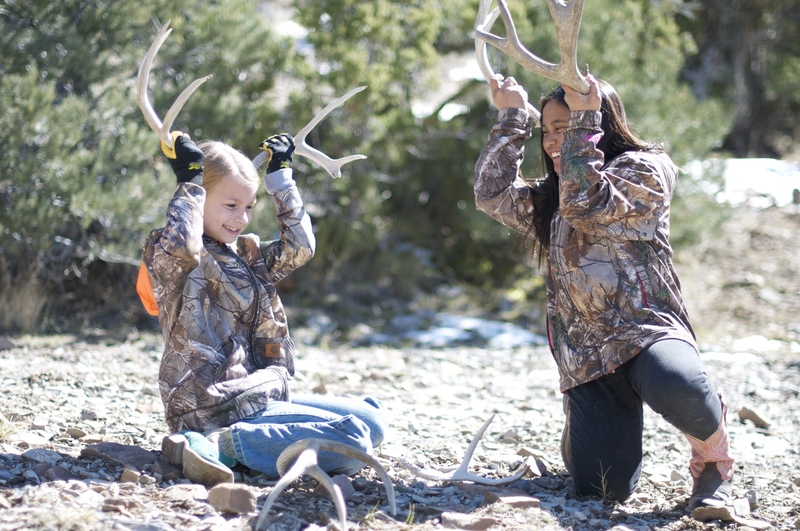 Despite the personal accomplishment of harvesting an animal big or small, you have final say in whether or not it is a true trophy. This often comes at the expense of others; however, it is your job to speak up. You define a trophy. So Hunter, I echo my previous message by telling you sound like an idiot. These 5 attributes are often delivered in the form of assumptions. At times I may agree with you; yet, your delivery needs work. Guess scores without calling people out on their perceived or real accomplishments. Hunt within your ethical skill set recognizing everyone is different. 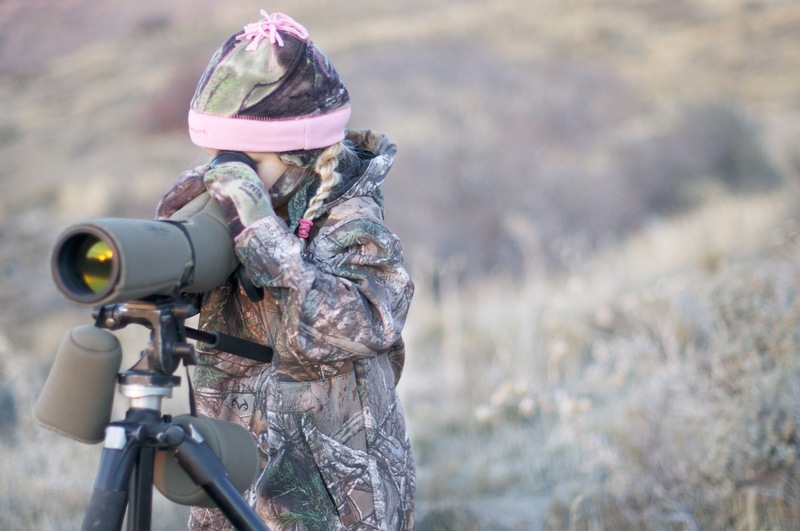 Grasp that we are all hunters in our own right and share a passion for the sport. Acknowledge success can come to those with or without money. Accept that you sound stupid when you belittle one’s trophy big or small. Share this article if you agree. Click the “follow” button in the bottom right had corner for some exciting new content to come. Follow me on instagram @jdheinerblog.